I recently read about a new report that was being released titled “Multicultural Digital Report” so decided to reach out to learn more about the findings. Thank you Jake for this guest blog post and for the report. 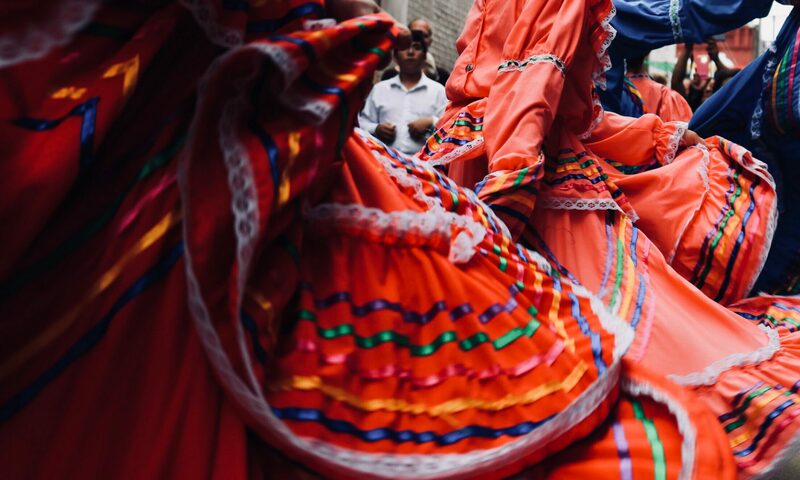 Yesterday marked the last day of Hispanic Heritage Month, but the first time that digital media across ethnicity and race has been reported in the United States. Today is an important day for all of us in marketing, not just multicultural marketing. It is a day when the Mainstream ad spend will begin to be measured by ethnicity and race. Up to now, the mainstream has been synonymous with non-Hispanic Whites. But, given the dramatic changes in our demographic landscape over the last 20-years, the Mainstream or should I say, the New Mainstream is becoming a multicultural majority, and needs to be measured across ethnicity and race, moving forward. The Multicultural Digital Report 2018 is a 100+ page resource for brands, media companies, publishers, and researchers that uncovers new data on digital media and total market population. This report, whose data is provided by MAGNA and ThinkNow, is extensive in that it measures digital media usage across Latinos, Asian and African-American consumers in addition to non-Latino Whites, showcases the results of an empirical test comparing in-culture and non in-culture content, and measures digital media ad spend by ethnicity and race. The Center for Multicultural Science partnered with MAGNA to estimate digital media 2018 ad spend across ethnicity and race in United States for the first time. This data should be considered a benchmark when comparing digital media spend in the future. A little over 50% of all 2018 ad spend in the United States is driven by digital. This number is projected to increase to almost 70% in the next five years. The Multicultural Digital Report 2018 found that Latino and African-American consumers make up 26.4% of total digital spend though they make up 35.5% of the total U.S. population. On the other hand, non-Latino Whites, which make up about 60% of the U.S. population, drove 65% of the digital spend in 2018. This spend data does not include category or brand spend data, which is critical in deciding how much a brand should spend in digital media. This report underscores the importance of digital media across all consumers in today’s fragmented landscape. Marketing to Latinos is a billion-dollar business. In 2017, Spanish-language television surpassed the $6 billion mark for the first time in history, which is about 80% of all in- language media spend in the United States. But are the changing demographics of Latinos impacting what language they speak at home and where they consume media? The Multicultural Digital Report 2018 found that approximately 60% of foreign-born Latinos speak ‘only Spanish’ and ‘more Spanish than English’ at home. Conversely, 60-90% of second- and third-generation Latinos speak ‘only English’ and ‘more English than Spanish’ at home. A recent study published in the Journal of Cultural Marketing Strategy showed that foreign-born Latinos consume Spanish-language television at a much higher rate than their U.S.-born counterparts. In fact, Spanish-language television viewership among U.S.-born Latinos was very marginal. The one-size-fits-all approach (i.e., targeting Latinos in Spanish-language television) no longer is the best way in targeting Latinos today — when you consider that 65% of Latinos in this country are U.S.-born. Language is important, but Spanish does not define U.S. Latinos. New strategies and tactics are needed to address a younger cohort characterized by their mobility and propensity to consume digital content. The Center for Multicultural Science partnered with ThinkNow to measure social media usage by daypart and by ethnicity and race or the first time in the United States. As published in the Multicultural Digital Report 2018, social media usage should not only be measured daily, but on an hour-by-hour basis. Most interestingly, social media usage peaked during prime time (8 pm and later). This was counterintuitive in the sense that we did not expect social media usage to peak in the evening given that television has traditionally been the ‘go-to’ medium in the evening. The implications are significant. Brands should follow the customer and make media investment decisions based on all the research available. The ARF conducted a meta—analytic study in 2016 comprised of 3,200 campaigns over a five-year period and found that the highest media ROI was achieved when television and digital were purchased in combination, not when TV or digital was purchased independently of each other. In closing, the Multicultural Digital Report 2018 uncovers key digital media behaviors and attitudes across a total market population, in addition to the consumption of digital media by ethnicity and race. This is the biggest contribution this Report makes to the marketing industry, and plan to continue measuring what matters in the New Mainstream. With MAGNA and ThinkNow as data partners, we look forward announcing in 2019 new measures and methodologies that will grow their business with their target audiences in the changing demographic and media landscapes. Dr. Jake Beniflah is the Executive Director of the Center for Multicultural Science, the first U.S. non-profit, non-partisan think tank dedicated to bridge the gap between academia and corporations in multicultural marketing research. Dr. Jake Beniflah spent the last 25-years working with leading organizations (ad agencies and publishers) to drive topline growth for Hispanic and mainstream consumers in senior-level research and strategy positions in the advertising industry. Jake was responsible for driving consumer insights, research, and strategy development. Dr. Beniflah is also the founding editor of the Journal of Cultural Marketing Strategy and guest editor of the Special Issue of Multicultural Marketing in the Journal of Brand Strategy. He is a published author in a number of peer-reviewed marketing journals and a public speaker. Jake is currently a post-doctorate fellow at Loyola Marymount University and received his doctorate in business administration from Golden Gate University in 2010. After 35-years in San Francisco, Jake enjoys the sunny life of Southern California with his wife and two sons.